Select apps are running free trials before prompting you to subscribe to keep using the app. 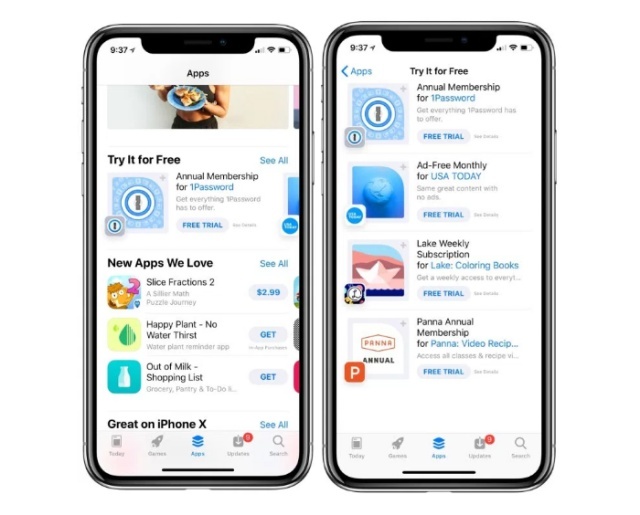 First spotted by 9to5Mac, this new category of the App Store is called ‘Try it for Free‘ and lays emphasis on the Cupertino giant’s efforts towards making the subscriptions a robust revenue model for app developers. It is also directed at iOS users, who’ll eventually know where to turn to gain knowledge of new apps offering their services at a premium. To access the new ‘Try it for Free’ category, you can navigate to the ‘Apps tab’ in the iOS App Store on any of your iPhones. You may need to scroll down a tab bit to see this newly added section, which currently features only four existing apps namely 1Password, USA Today, Lake: Coloring Books, and Panna: Video Recipes. The relevant thing to remember here is that all of the apps listed under this category are offerings free trials for different time periods. Apple has decided to clump together all apps with weekly, monthly and annual subscriptions all under this one category itself. This puts the burden of keeping an eye on the duration of subscriptions on you. Further, most apps just require you to provide your payment details to kickstart the “free trial” period, there are even apps such as 1Password that require you to shell out the first-year payment in full before you’ve even begun your free trial. This trial period lasts for one whole month, i.e 30 days. 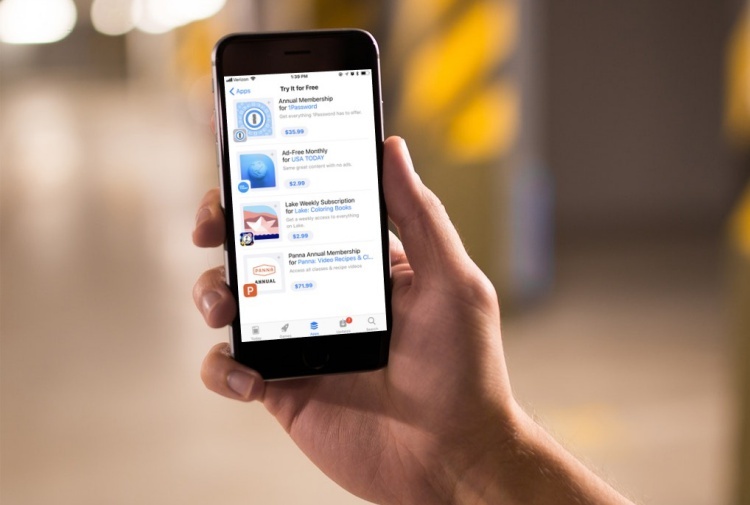 With iOS apps now also offering subscriptions, you’d have to keep close track of free trials that you’re signing up for. If you forget to cancel the subscription before the trial comes to an end, then you may end up paying for a service you don’t even plan on using any longer. So, I’d suggest you also go ahead and install a subscription manager app to remind you of the same.